Every meal I’ve ever cooked, every cake I’ve baked and every dessert I’ve made, have a very fond memory attached to it. Though some memories get a little hazy over the years, some meals will always have a special place in my heart. 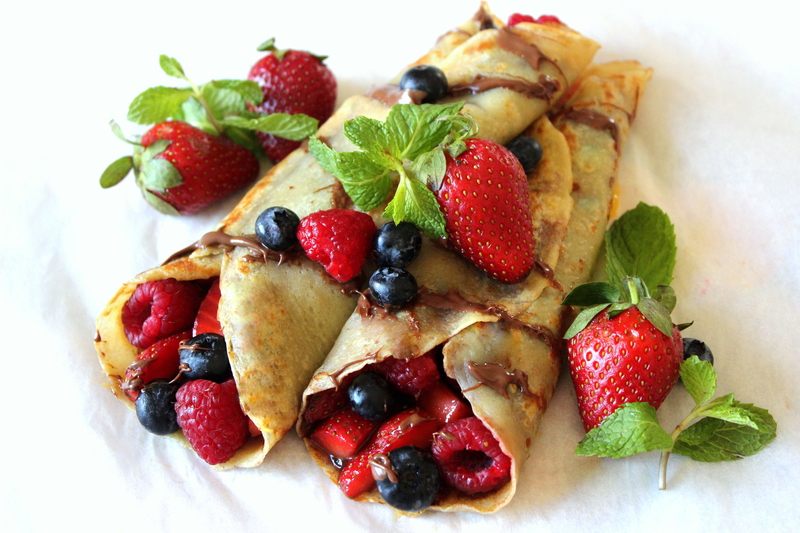 The first time I made Nutella and Berry filled Crepes was one such meal I will always cherish. 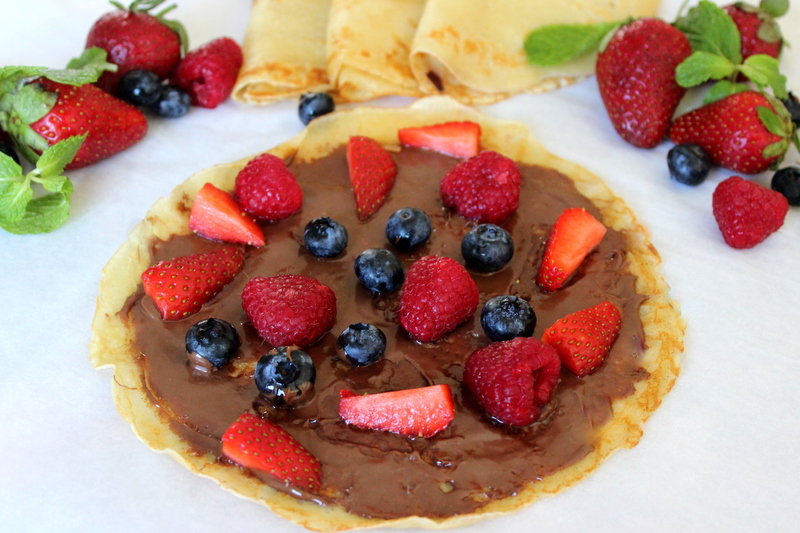 After that day, the boyfriend and my two friends loved me a tad bit more (because of the crepes, of course) and the amazing experience of savoring these Nutella and Berry filled crepes was a luxury we allowed ourselves every so often. I am a great fan of the concept of breakfast for dinner, and obviously, crepes are the reason for that. The idea of sitting in bed with a tall glass of chilled water, a plate loaded with crepes, smeared with nutella and topped with berries and watching back-to-back episodes of Chasing Life is my way to unwind (not to mention, it’s what you’ll find me doing on most weekends!) So, if you love breakfast for dinner – or any time of the day – as much as I do, you’ve got to give this recipe a go! In large bowl, blend together the flour, sugar, salt, eggs, melted butter, vanilla essence and milk until you have a smooth runny batter. Heat a griddle on medium flame. Grease it with butter and pour in about 1/4 cup of batter. When the surface of the crepe begins to bubble, flip over and cook on the other side for about a minute. Repeat this until all the batter is used up. 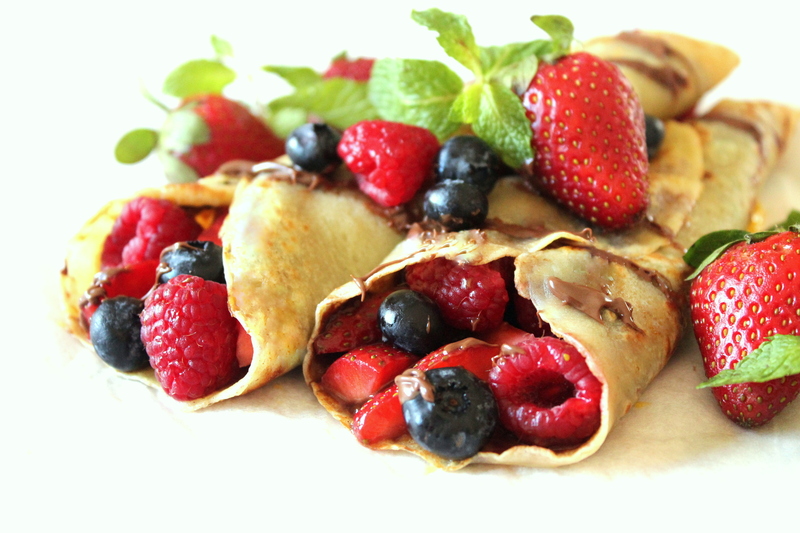 While still warm, spread some Nutella on the inner side of the crepe and top with berries. Roll up and serve immediately. 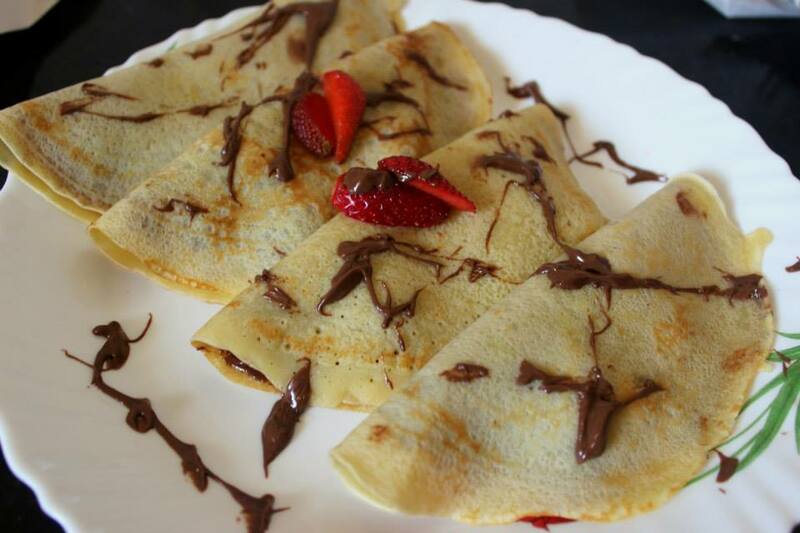 After seeing this post.. nutella filled crepes are ALL I am craving. Seriously jealous of the incredible spread you’ve set up. Thank you so much Thalia for your kind words! 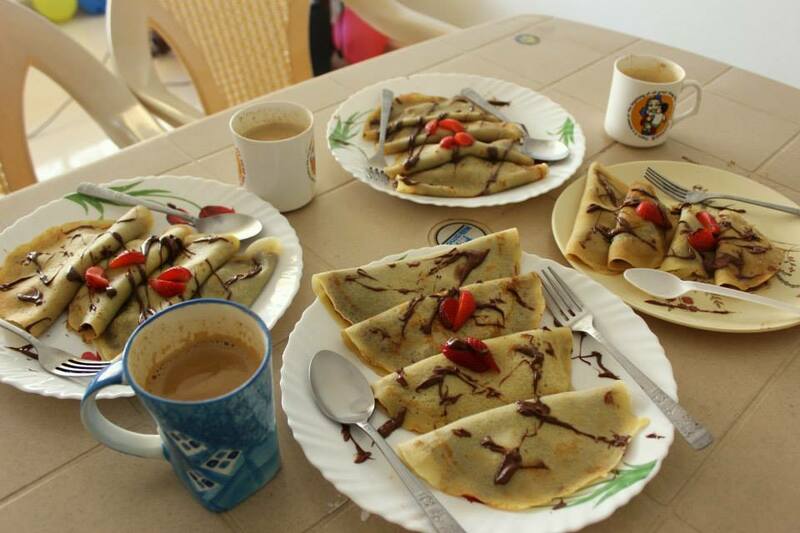 And I agree with you, it’s hard to overcome the craving for these delicious crepes. 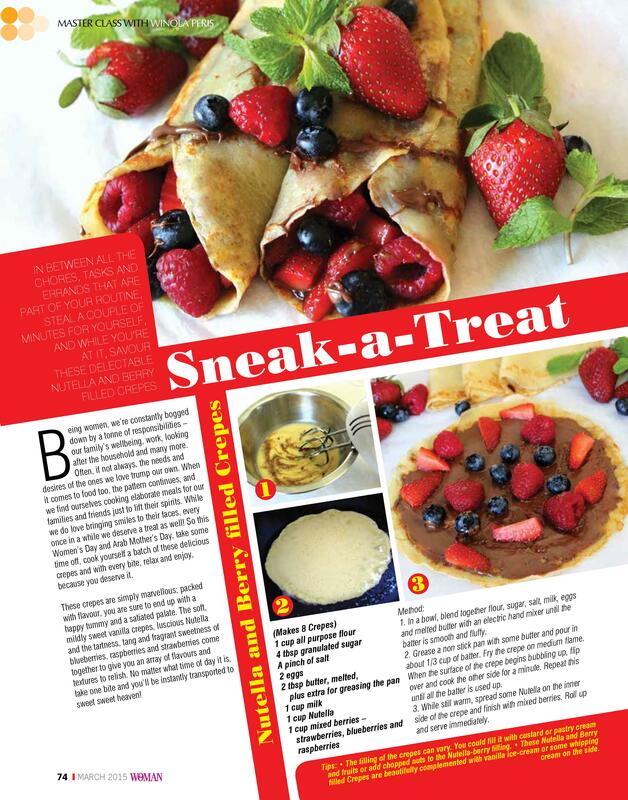 Do treat yourself to these yummy crepes, I’m sure you’ll enjoy them!